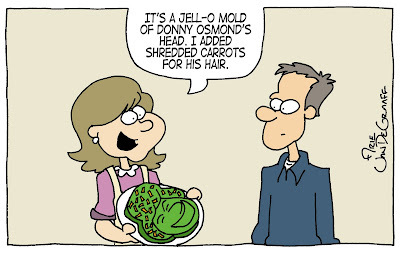 This week's comic comes out of a comment I made in my last post regarding the stale nature of Mormon jokes regarding both Jell-o and the Osmond family. By combining the two, you couldn't come up with a more cliche Mormon gag if you tried. 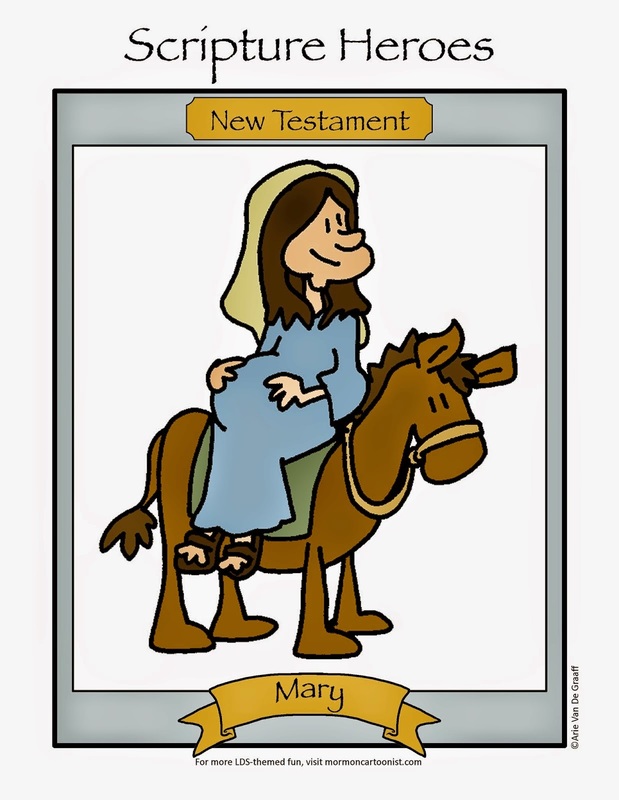 I'm issuing a challenge to my readers to please help me make the above gag the most cliche ridden Mormon cartoon ever produced. For example, you might add the text: "Now you can give it to your Home Teaching family on the last day of the month." or: "I'm going to place it on a doily as part of the centerpiece for my Relief Society lesson." If you make a Marie Osmond jello too you can eat them at a Talent Show during a Family Reunion. Great work! I hope Sheri Dew likes it. "Look, honey...When I make it jiggle, it is just like he is on Dancing with the Stars." "Of course it looks like Bruce Banner. I didn't have enough Jell-o packets to make the jolly green giant." "Look what I found in food storage! Judging from the likeness of Donny Osmond I'm guessing it came out of my 1978 batch." "It may not be 'Our Lady of Lourdes' but I still think the spontaneous appearance of Donny Osmond's visage in green gelatin must be worth something on eBay." "And I thought I was so clever by combining the two colors for the 'Blue and Gold Salutes Elvis Presley' banquet"
"This is almost as good as your Mitt Romney Marshmellow fluff." If you could combine this with a pinewood derby theme maybe it would finally be accepted by the New Era. I regret waiting until now to go back this far through your work. "This will go great with the funeral potatoes!"